Legal news for product liability attorneys – The CPSC and Coby Electronics announced a recall of rechargeable batteries that sold with portable DVD/CD/MP3 players. Rechargeable batteries pose fire risk. Washington, DC (www.NewYorkInjuryNews.com) – On Monday, April 26, 2010, the U.S. Consumer Product Safety Commission, (CPSC) www.cpsc.gov, and Coby Electronics Corp. announced a voluntary recall of Coby Electronics rechargeable batteries that were sold with portable DVD/CD/MP3 Players. The press released came from CPSC’s Office of Information and Public Affairs. Consumers are recommended to stop using the recalled products immediately, unless instructed otherwise. The Lake Success, NY-based electronics manufacturer warns consumers that the rechargeable batteries may overheat, posing a fire risk to those using them. Approximately 32,600 batteries make up the recall. Approximately 13,000 units were the subjects of an October 2008 recall. These products were sold from discount, electronics, music, toy and office supply stores and distributors nationwide. 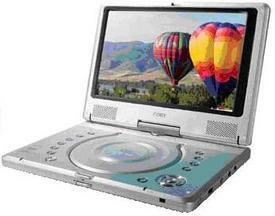 The TF-DVD 1020 units retailed at approximately $168 and were sold between May 2007 and July 2008. The TF-DVD 8501 units retailed between approximately $140 and $275 and were sold between January 2007 and September 2009. The products were manufactured in China. Any additional information regarding this recall can be found through contacting Coby Electronics at (866) 945-2629 between 8a.m. and 5 p.m., Monday through Friday. Consumers are also recommended to visit the company’s website at www.cobyusa.com. Legal News Reporter: Tara Monks – Legal news for product liability lawyers.